Do you love having the computing capability of a PDA or Smartphone, but hate the teeny tiny keyboard that you are forced to type on? 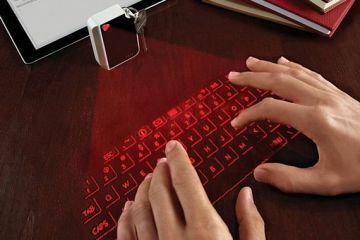 If you have normal size fingers and wish you could have the capacity of a full size keyboard on your portable device, then the virtual keyboard is the gadget for you. 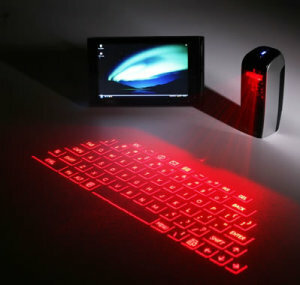 This device can connect to your PDA or Smartphone and give you a full keyboard projected onto any hard surface. The connection is made with Bluetooth and device is only a little bit bigger than the size of a matchbox. You can get a full two hours of life from a single charge so you can take it with you to answer email, spend some time chatting or anything else you might like to do with your portable device. 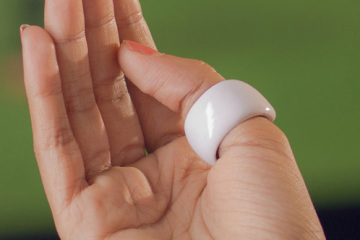 You can even get some key clicking sounds while you are typing to make it more realistic. It might take a little getting used to, but once you pull this baby out the next time you are out and about with your PDA, you will get a lot more work done on your device. Answer email wherever you are and never worry about the time that it takes to type on the small keyboard that comes with your device. 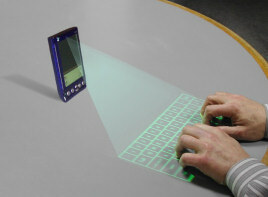 The virtual keyboard will make you more productive on your PDA or Smartphone. Imagine how much work you can get done on the road when you have this tiny little device in your pocket. You will also turn a lot of heads when you project your full size keyboard on the table in your favourite hangout and start typing away.